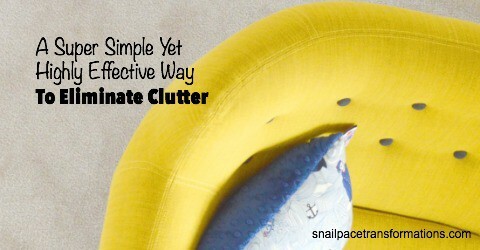 Do you want to conquer your clutter, but you just don’t know how to attack it? Here are eight different ways to declutter. Simply pick a plan, work it and start seeing that clutter disappear. This is an excellent plan for those of you just starting on your decluttering journey as it will help you give your home a top to bottom decluttering in a realistic time frame. Divide your home up into 52 areas and declutter one a week. Redo the list and the challenge as many times as needed. 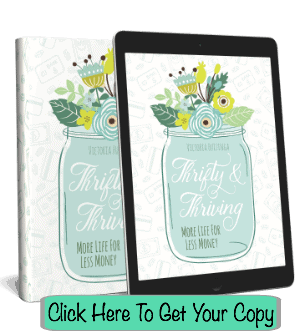 This post explains the method in more detail and has a free printable you can download to make your list as simple as can be. This plan is great for those who need a toss goal to reach for each month or those who have most of their clutter gone already and need a way to make sure they maintain their progress. I once tried to get rid of 30 items every month, but it soon became a box a month challenge. I just couldn’t be bothered to keep track of how many things I tossed each month–call me lazy if you want. It was easier instead to grab a box on the first day of each month and make sure I filled it by the last day of the month than it was to count items all month long. My guess is I tossed 30 items or more filling a box a month anyways. 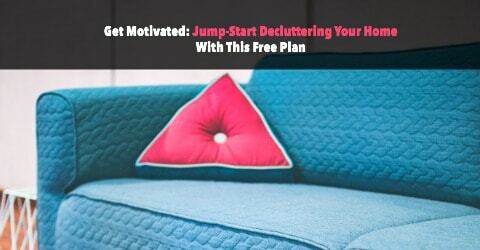 If you are overwhelmed by your clutter and multi-step plans, then this insanely simple plan is perfect for you. I got this idea from a lady in my Snail Pace Clutter Removers Facebook group. Simply pick a number of items to toss each day and stick to it. If you have an idea of exactly how you want your room to look when you are done, but you are not sure how to get it that way this plan is for you. So while I was living in a 27-foot travel trailer with my family of 5, I came up with this grand plan to toss our remaining clutter once and for all. When I got home, I discovered that thanks to my 52-week plan followed by my year of tossing a box worth of items a month I didn’t need to use my Room A Month Extreme Declutter Plan, but I think it is still a great one. The plan was inspired by the book The Nesting Place: It Doesn’t Have to be Perfect to be Beautiful. The author does something similar when she rearranges her rooms periodically. Grab the free printable plan worksheet and get all the details in this post. 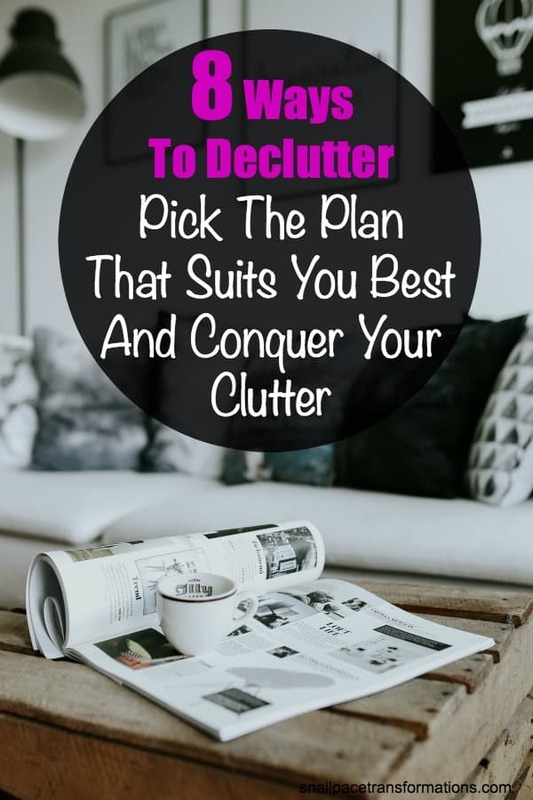 If you want to make a big dent in your clutter right away and then continue at a more reasonable rate, this plan is for you. It will help you get the most public areas of your home company ready in four weeks. I followed this plan and our home looked stunning when I was done–the compliments are still rolling in. Another great one if you want to kick-start your decluttering or if your clutter situation isn’t that bad and you just need to force yourself to give your home a good once over. I have not done this plan before, but you can find all the details you need to do it here. 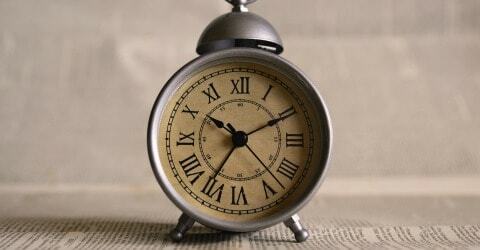 Set your timer and attack your clutter for 15 minutes each day at least five days a week, if not every day. This plan is suitable for those who do well with routines. Here is a site that will assign you an area to declutter each day if you have trouble deciding on your own. A weekend purge is a great way to start your decluttering journey with a bang. This post explains all the groundwork you need to do ahead of time to make one happen. It does suggest you can get your entire home done in just a weekend, but that might not be doable for everyone. If your home or your clutter piles are large, consider doing one-weekend purge a month until you have attacked all the areas of your home. 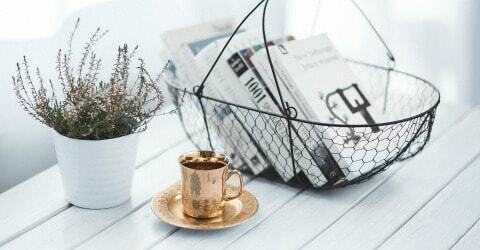 Here is a list of 4 essential items you are going to want to have on hand before you get started with your decluttering plan. Here is how not to get bored while you declutter. Are you simply too overwhelmed to even start decluttering? This post can help. Plus! 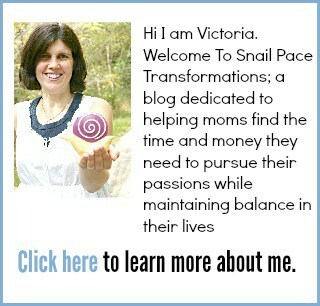 Join my Snail Pace Clutter Removers Facebook page for decluttering support from those who are also on their own decluttering journey. Feel like you would love to get rid of the stress your cluttered home is causing you, but you simply don’t know how you could squeeze time to declutter into your already cram-packed life? I recommend taking Make Over Your Mornings and/or Make Over Your Evenings. These are 15 day, video-driven courses that come with a workbook for you to complete. Each day’s lesson consists of a five-minute video, five minutes of reading and a five-minute workbook activity. The information I learned in the Make Over Your Evenings course gave me 30 minutes each and every morning without getting up earlier. The Makeover Your Mornings course is just as full of great time-saving advice that can help you carve out time to rid your house of clutter and finally make your home the haven you know it could be.